donor for a bone marrow transplant. his English was very limited. him my own experiences of being a successful cancer survivor. Canadian couples! Very Gung Haggis! 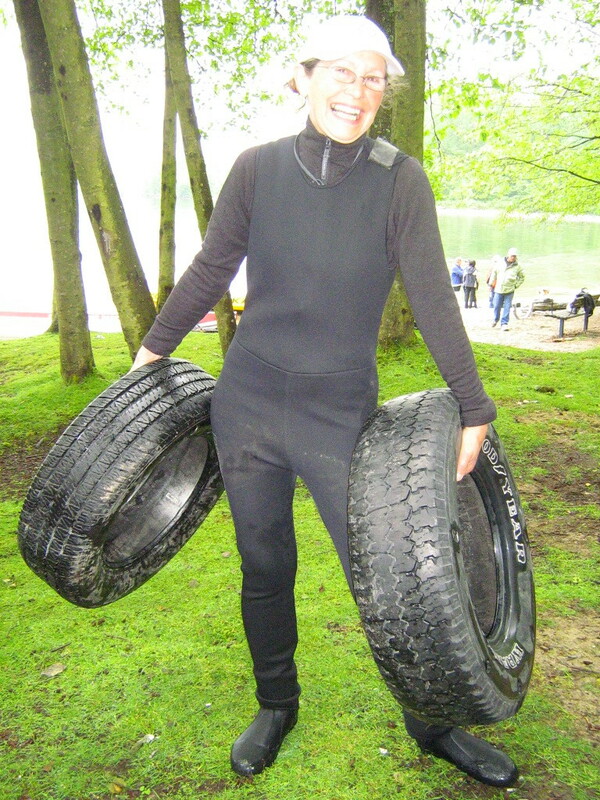 And James' cousin Hillary Wong has just joined the Gung Haggis Fat Choy dragon boat team. 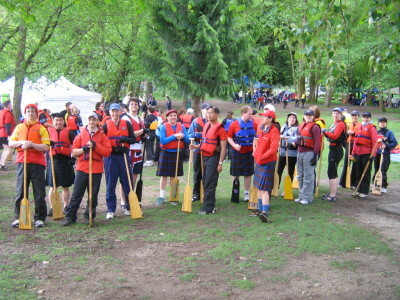 In years past the Gung Haggis Fat Choy dragon boat team has had honourary drummers, steersperson and paddlers. This is to highlight the person's contributions to society, or a worthy cause. The first honourary steersperson was architect Joe Wai, who designed the Dr. Sun Yat Sen Gardens which has the mission statement of “building bridges.” Joe is also my elder paternal cousin, and I have always claimed him as one of my early role models. Community activist and former city councilor Ellen Woodsworth was our honourary drummer for the “Gung Haggis Fat Choy float entry” for the 2005 St. Patrick's Day parade. Ellen loves the Gung Haggis Fat Choy dinners! CBC broadcaster Margaret Gallagher describes herself as Chi-rish (Chinese and Irish ancestry), and is involved in many intercultural activities in the Vancouver arts community, and has supported Gung Haggis Fat Choy dinner events many times. Margaret was an honourary paddler for the 2005 St. Patrick's Day parade. Joy Kogawa was our honourary drummer for 2006. She is one of Canada's most important writers, the author of Obasan, Naomi's Road and The Rain Ascends. I am one of the leaders of Kogawa House Comittee, as we strove to successfully save Joy's childhood home from demolition. It was this same house that her family was removed from because of the internment of Japanese Canadians during WW2, and that she wrote about in her award winning books. I think I will have to give James a Terry Fox loonie… Terry was an 18 year old student at SFU when he diagnosed with his cancer. 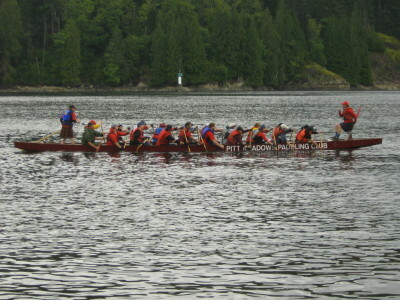 I would be honored to become the honourary drummer for your dragon boat team. Sorry I haven't responded sooner, I've been without my computer for the last few days while at the hospital. Thanks for everything, and talk to you later. 2) help raise continued awareness for a matching bone marrow donor for YOU! This entry was posted in James Erlandsen - leukemia fighter, Main Page on May 31, 2007 by Todd. Okanagan Lake, Washington, Oregon, California and of course Hawaii. canoe in the water, so they can get back in and get back to paddling. way back into East side of Granville Island. side… knowing we would soon be in the cold False Creek water. started bailing the boat. End of huli drill #1.
leaned back to pull the aku up into the air. the canoe. Next job – bail out the water from the canoe. the water was out, and seat 2 started paddling. cold bite of the breeze. Glad I had my running tights on. the boat in a huli, we know what to do. This entry was posted in Dragon Boat Information, Dragon boat with Todd Wong - Dragon Boat Coach, Main Page, Vancouver Area Adventures on May 21, 2007 by Todd. Gung Haggis Fat Choy dragon boat team was a happy team today! at Rocky Point Park in Port Moody. won!!! against a team that had beat us in the first race!!! The weather was a real mixed bag. It was overcast and damp. out, then it disappeared, then it came out again. tires she was carrying down to the dock on the beach. 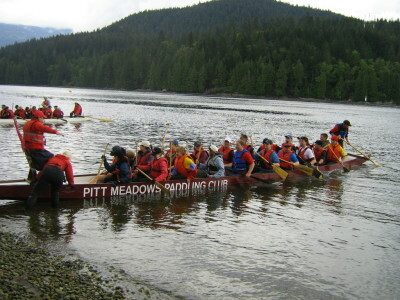 paddlers from the WOW (Women on Water) team also from Ft. Langley. and the Crusaders – a new team from Chilliwack coached and captained by my friend Manfred Preuss. of paddling to the task. The airhorn went off. From the drummer's seat I called “Go! 2! 3! gradually increasing the rate with each stroke. “Up! 2! 3! 4! 5! 6!” and each paddle entered the water together as one. “Up! 2! 3! 4! 5! 6!” and the boat speed increased with the faster rate. the boat forward with each stroke. 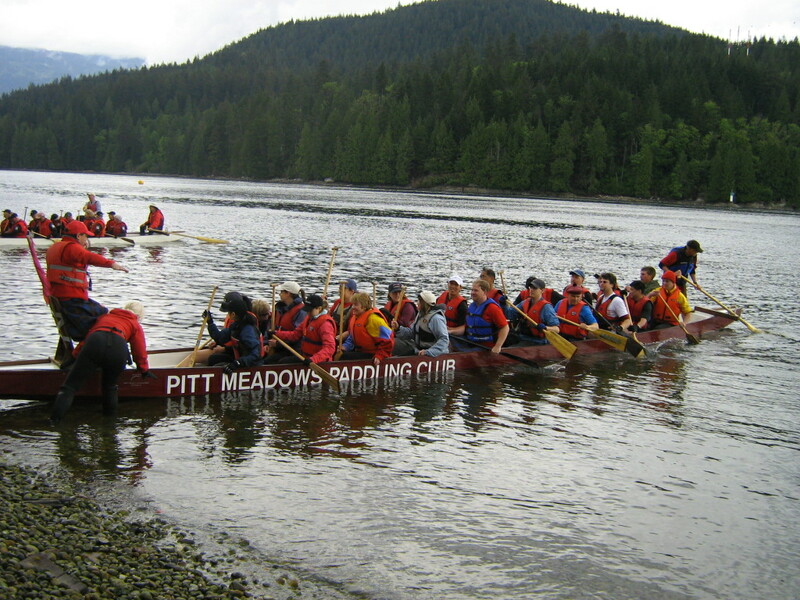 encouraged our paddlers… and the boat surged strongly forward. finish, insipiring our paddlers to give everything they had. we chanted “We want beer.” Everybody was jubilantly happy. placed 4th overall, and raced in the A division. 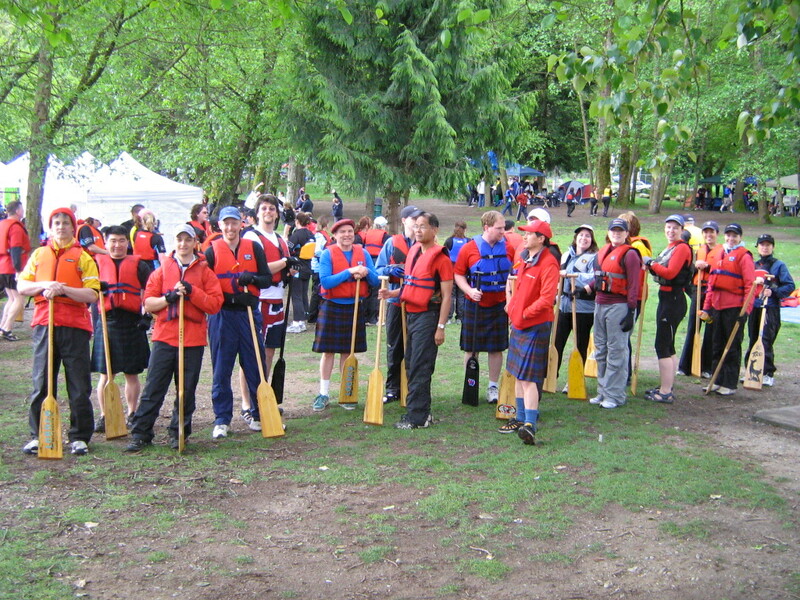 This entry was posted in Dragon Boat photos 2003, Dragon boat with Todd Wong - Dragon Boat Coach, Gung Haggis dragon boat team information, Main Page on May 20, 2007 by Todd.